1995 The band was founded on 6th June by Kozeljnik, Ilija and Rastko. Their idea was to form an ultimate extreme metal band firmly rooted in the traditional Metal of Blackdeath. Besides those three souls, at that time band also featured Vladan on bass and Srdjan on vocals. On 16th of December band played their first gig in Smederevo. 1996 The year begun with some line-up changes. In fact, May Result decided to invite Predrag who took place on keyboards. Finally, on 4th of May, the band recorded their first demo "Ignoramus et Ignorabimus" introducing 4 songs of grim darkened death metal. That recording was supported with one more guitarist Nikola, who played on two tracks. In the autumn band has gone through some more line-up changes: Vladan left the band, and Rastko decided to move on bass, while the new member Dusan (in that period guitarist of Serbian Black Metal band Stone to Flesh), was introduced on second guitar. In October, that line-up started to work on songs for the first album. 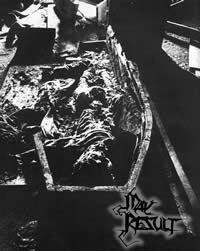 1997 Demo "Ignoramus et Ignorabimus" was released on a limited tape version for Serbian Extreme Level Production (R.I.P. ), and after some gigs during 1996 and in the beginning of 1997, band finished the songs for the full-length album. Recording once again took place at Kazablanka Studio, on 25th April and lasted for 7 days. The 10-tracks album at first was titled "Lightning, Sword of The Dark Sky". This time music was much more melodic compared to Demo, introducing symphonic elements and experimenting with some traditional oldschool Heavy touches, but still the darkened way remained as clear as it was in the beginning. Later on, band signed the first contract with the small Italian underground label Seven Arts Music. In the mean time, band did some live appearances, but the autumn brought new line-up changes. Vocalist Srdjan left the band and Nefas (vocalist of Stone to Flesh) joined instead of him. 1998 That year brought many problems to the band. There were new line-up changes, then the release of new album was put on hold (caused by financial problems of the Seven Arts Prod). Anyway new keyboardist Iva joined the band and also band started composing music for the new album. 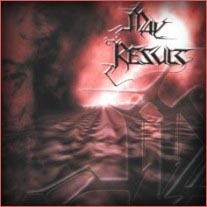 1999 The year started with May Result's triumphal appearance on Liquid Souls Festival (7th Feb.). On the other side, the first album was still unreleased, and band cancelled the contract with Seven Arts (soon after that, label was disbanded because of lack of money). Nefas left the band and Glad became new vocalist. Band also signed a new contract for Austrian CCP Records, which finally made the releasing of first album possible. 2000 Band finished songs for second album, and on 26th June the first album, now titled "Gorgeous Symhonies of Evil" has been released, after 3 years since the recording. Band appeared on Feast of Blasphemic Art Festival. Despite the attempts of sabotage by some stupid christian skinhead group, May Result rose the bloody swords of revenge and cut down the christian pigheads once again! After that band has been invited to play at "Od Oluja Mrzitelja" festival in Zagreb, Croatia, and on 23rd October May Result performed live at Kulusic Klub. Until the end of the year one more gig was held in Belgrade. 2001 At the winter of this year Iva was kicked out of the band. After short time, band found new keyboardist Milan (well known for his work on Awaken 'zine & distro), and finally line-up, after 6 years, was completed by strong, dedicated individuals who are capable of contributing to war against Judeo-Christian stupidity in Slavic lands, and to keep the infernal torches of Devil's wisdom high and proud. On May, 18th, May Result appeared on Transilvanian festival in Deva, Romania, together with Romanian underground bands, such as Negura Bunget, Makrotumia and Vokodlok. 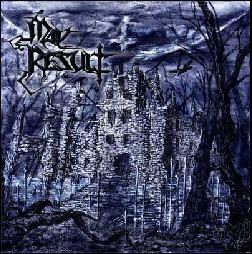 May Result remains as the only foreign BM band that has performed live in Transilvania, up to date. After Romania, there was one more gig on Serbian festival Sombor Open Air, and short after that band entered the Kazablanka Studio gates to record second full-length album titled "TMINA", with seven freezingly cold songs of hateful Metal of Blackdeath, faster and more aggressive than ever before. Album shows the real grim potential of the band, and the path they will take in the future. "TMINA" was released on 3rd December for CCP Records. 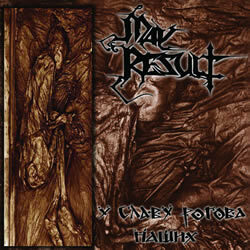 The first gig after the release was in Mosonmagyarovar, Hungary, with some local underground bands. 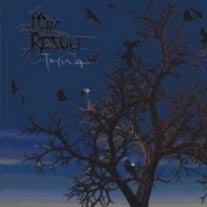 2002 In the first quarter, due to obligations of guitarist Kozeljnik and drummer Ilija to their side band The Stone (ex-Stone to Flesh) and the recording of their second full-length "Slovenska Krv", May Result had to make a short break. The band returned with live appearances in Apatin and Belgrade, to promote the "TMINA". Later on band had been invited in Volyne, Czech Republic, to play on cult underground "Open Hell" festival. Some of the acts involved were: Avenger, Averse Sefira, Dark Storm, In Aeternum, Root, Obtest... On 9th August, May Result played in ancient medieval stronghold of Smederevo. Once again May Result's blasphemic appearance and attitude on the stage, with fire breathing and cursing of filthy christian seed, frightened and shocked some of christian zigots, who tried to cowardly and pathetically provoke, but failed, as always. 2003 The band made a 6-months break (due to drummer's Army obligations), and in summer started to work on a new material. Meanwhile, May Result signed 2-releases contract with Serbian label Rock Express Records, and on Dec. 31st, mini-album "U slavu rogova nasih" was released. CD included 2 new songs, one re-recorded old song, a cover of Norwegian band Gehenna, live version of "Jata moja crna" plus re-release of old demo "Ignoramus et ignorabimus". In November, the band performed on Romanian part of "Storming The East" tour with Primordial, Negura Bunget and Psycho Symphony. Check out live video taken from that concert, supplied on this CD. 2004 In February the band promoted a new mini-albim "U slavu rogova nasih" on a Belgrade gig. During the year May Result concentrated on songs for new full-length, and in September/October entered Kazablanka studio to record this album called "Svetogrdje", you are about to witness. 2005 Winter brought some line-up changes. Our long time drummer Ilija left the band, and after a while new drummer Ved joined the band.